Tyre choice was critical on Day 3 of the Monte with both Sebastien Loeb and Kris Meeke ending the day back in the top ten after yesterday’s troubles, albeit a long way behind the leading trio. The DS 3 WRCs then topped the timesheets as Sébastien Loeb went fastest on the mostly dry roads of Prunières – Embrun (SS11) before Kris Meeke won the daunting Sisteron – Thoard test. 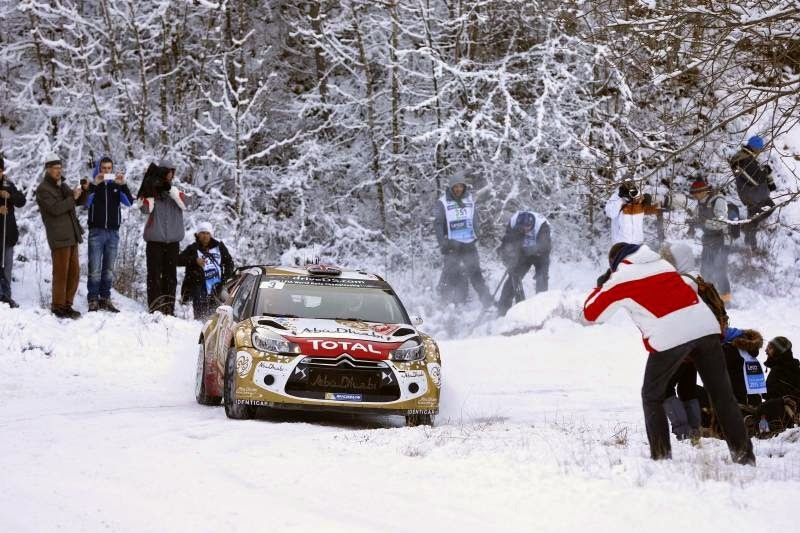 The British driver set the fastest time with a mix of two studded tyres and two super softs, a combination which proved very effective when he tackled a section with icy patches and snow in the middle of the stage.